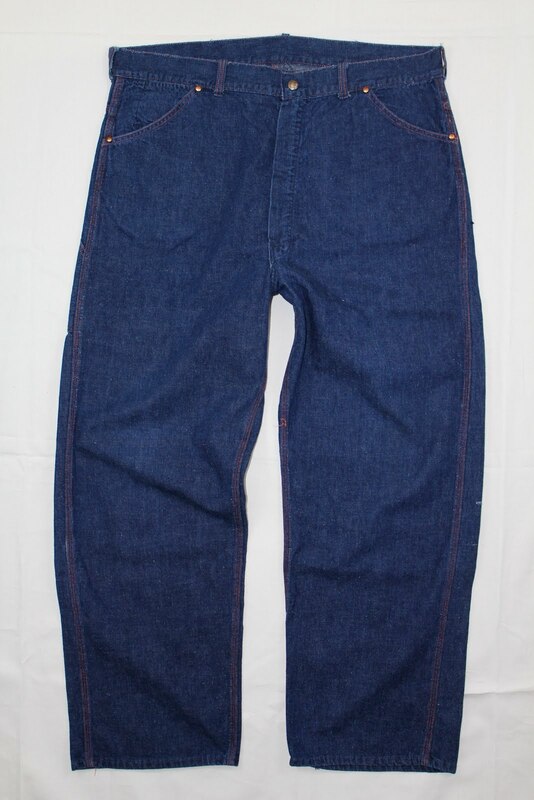 1950's era BIG YANK Union Made dungarees with SERVAL zipper, union made embossed snap waist closure, copper rivets, 10oz sanforized denim. 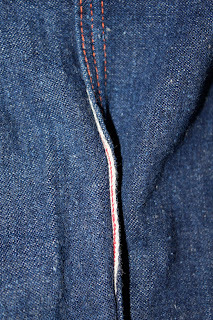 On first appearance this white thread making its way out from under the triple stitch orange cotton leg seam looked like your basic seam blow out. 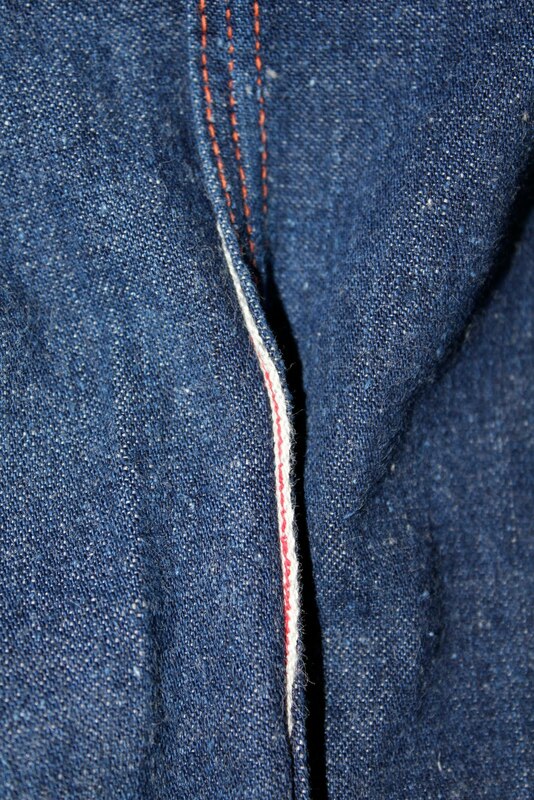 Upon closer inspection the redline selvedge that is normally hidden in the seam has been partially exposed. 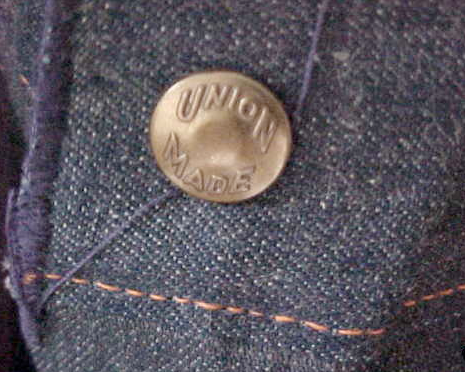 Finding hidden selvedge in vintage workwear is always a special treat. 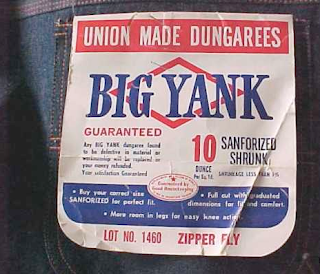 Prior to picking up the pair first pictured, I came across a deadstock pair a few years back and managed to save some photos that came in handy in helping to accurately identify my Big Yank dungarees. 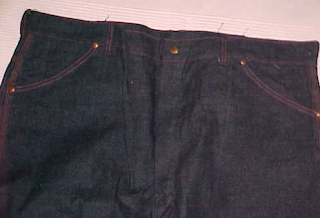 Compare both the UNION MADE snap & blue thread that finishes off the waistband on this deadstock to the pair in the first photo. 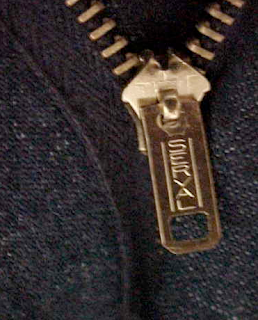 Same SERVAL zipper as the pair above. Also the same pocket design & copper rivets.